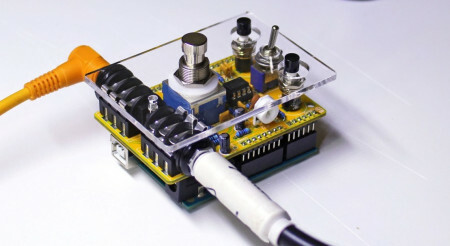 pedalSHIELD UNO is an Arduino UNO programmable guitar pedal. You can create your own guitar effects and digital sounds. The Input Stage: Amplifies and filters the guitar signal making it ready for the Arduino Uno ADC (Analog to Digital Converter). 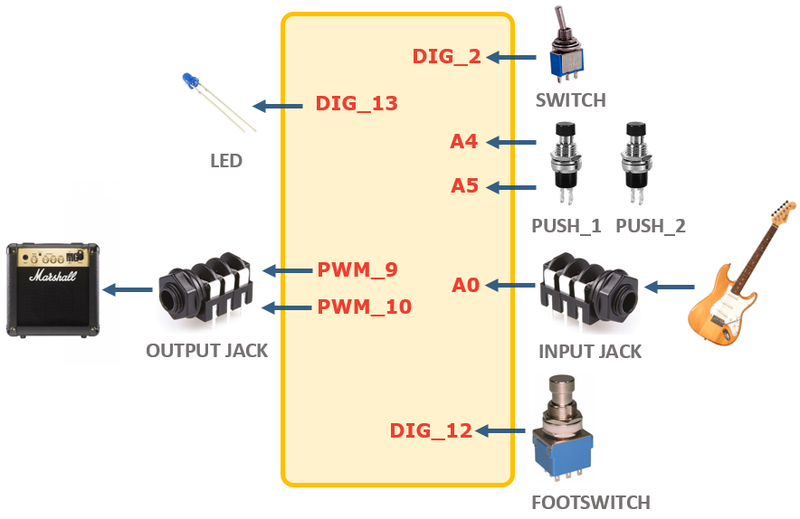 Arduino Board: It takes the digitalized waveform from the ADC and does all the Digital Signal Processing (DSP) creating effects (distortion, fuzz, volume, metronome...). The idea is to make it as easy as possible, the shield is programmed in C/C++ using the standard Arduino functions and software platform (Linux/Windows/Mac). All tools and programs are free/open source. Guide How to build pedalSHIELD UNO in 5 Steps. 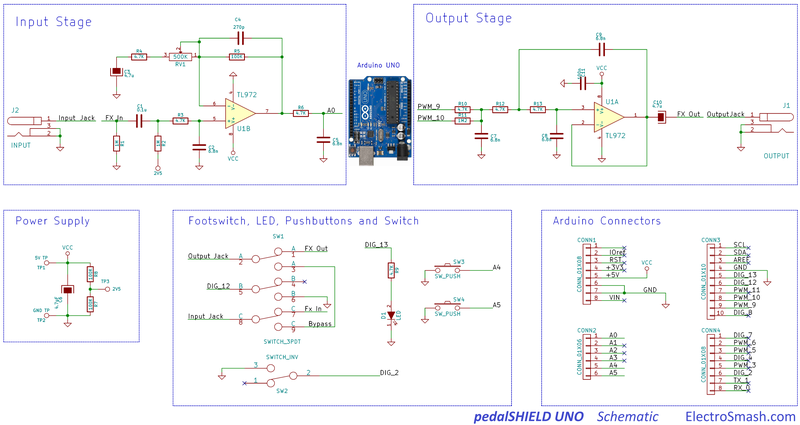 pedalSHIELD UNO Schematic and Bill of Materials (see also below). ElectroSmash is mad about classic vintage electric guitar effects and loves mixing them up with open source culture.